Anadrol 50 (oxymetholone) is a potent anabolic steroid developed by Syntex in 1960 and is the only anabolic steroid approved by the FDA as part of therapeutic treatment of anemias (lowered RBC). Anadrol is prescribed to patients suffering from, renal dysfunction, cancer and HIV infection. Anadrol is the brand name for the oral anabolic steroid Oxymetholone. In terms of popularity, frequency of use among bodybuilders, and its proliferation on the market, Anadrol retains moderate popularity. 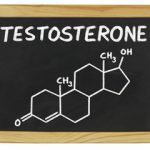 It is not a very popular anabolic steroid by any means, but at the same time it is not the most unused compound, and it certainly has a niche following. 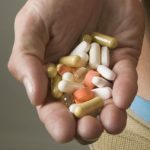 It tends to be a love-it-or-hate-it anabolic steroid, and this reflection can also be seen throughout the anabolic steroid black market where people can find Anadrol for sale. This drug was one of the first anabolic steroid derivatives to be developed in the 1950s. Oxymetholone was developed in 1959 and released to the prescription market in the early 1960s. Anadrol is most notable for its use within medicine in the treatment of anemic patients due to its exceptional ability to bolster red blood cell production significantly beyond that of other anabolic steroids. However, towards the late 1980s, Anadrol fell out of use for this purpose as better and less invasive treatments for anemia surfaced within medicine. This hormone was pulled from production in the early 1990s, only to make a resurgence in the late 1990s as HIV and AIDS patients discovered the benefits of this drug for the promotion of lean mass and bolstering immune function. This compound is commonly compared with the most popular anabolic steroid of all time: Dianabol (Methandrostenolone). This is because on the surface, both compounds tend to exert very similar effects and have very similar properties. Furthermore, both are among the strongest oral anabolic steroids available and are commonly utilized towards the same goals (bulking and mass/strength gaining). However, the truth is that both of these compounds are quite different chemically. 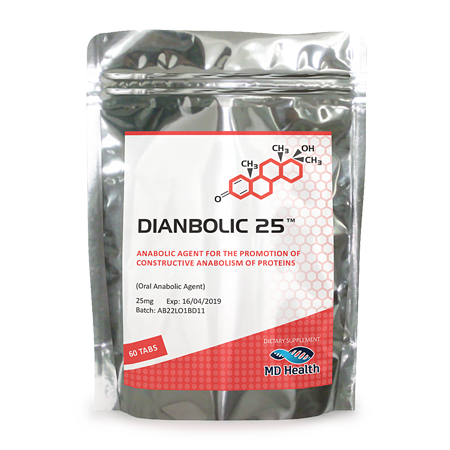 While Dianabol is a derivative of Testosterone, Anadrol is a derivative of Dihydrotestosterone, which grants it some quite distinctively different properties. However, Anadrol is a strange compound that tends to exert different effects than it would be expected to, given its chemical background. Being a DHT derivative, Anadrol does not convert to Estrogen, yet it still exhibits estrogenic side effects in the body, such as gynecomastia, bloating, and water retention. The reason why it is still utilized by athletes and carried by sources that offer Anadrol for sale is because it is a very strong compound that has the capability to put on very significant amounts of mass and strength in a very short period of time. 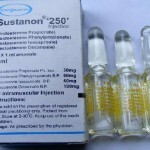 Although this drug is not anywhere near as popular as something like Dianabol, it is still a compound that is frequently mentioned (especially when Dianabol comes up in conversation to begin with), and because it has a niche following of bodybuilders and athletes that take a liking to it, it is easy to find for sale. Anadrol is one anabolic steroid that should without a doubt be in the inventory of any anabolic steroid vendor, dealer, source, or website. Miligram for milligram, it is actually much cheaper than if you buy Dianabol, making it a very affordable compound especially considering its strength. Anadrol promotes erythropoiesis, the production of red blood cells. Erythropoiesis is required for an ideal nutrient and oxygen transport in the body, thus increasing stamina and aiding in tissue recovery post exercise. When you buy anadrol, it promotes weight and strength gains in short period of time by increasing protein synthesis, mTOR, increasing growth hormones and nitrogen retention. It is used by bodybuilders mainly to “kick start” or frontload a steroidal cycle, but can be used alone. Gains in mass and strength are apparent in the first 4-5 days of its use, its a very powerful anabolic steroid. Toxicity is also apprent, vene in low doses when Anadrol 50 is used. To limit these steroids side effects, its suggested that Anadrol is used for no more than 4-5 weeks without bloodwork being done. Regular testing for kidney and liver values is advised when Anadrol is used and mroeso when it is used for extended peroids, such as more than 5-6 weeks of continuos use. Some side effects that are apparent when users use this compound for long peroids are increased blood pressure and increased live values, noteable AST/ALT levels. These levels need to be brought back down by stopping use of the androgen and introducing a liver detoxifier, such as MilkThistle at 1g/ED. Anadrol’s side effects are noticeable in low doses in some at 50mg/ED, these include headaches, hypertension, hair loss, loss of libido and energy levels. Users should buy Anadrol from reputable online sources where credit cards are accepted. 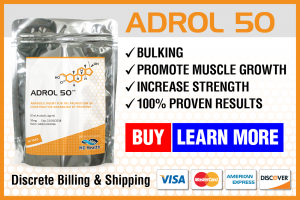 Anadrol 50 is one of the more faked anabolic steroids because its only available in oral form, that means pills are easy to pass off as other drugs. Buy Anadrol from authentic suppliers that offer refunds, accept CC and debit cards and protect their products by using holograms and getting them manufactured in reputable pharmaceutical labs. 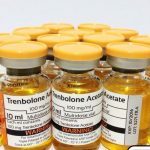 As with nearly all anabolic steroids and related drugs, there exists two primary grades or forms of product: pharmaceutical grade and underground lab (UGL) grade. Pharmaceutical products are those that are manufactured by pharmaceutical companies, which are government regulated (primarily through the FDA or any international equivalent organization). As a result, the products generated are of very high quality and intended for use in humans as medicines, though the downside to this is that the cost of Anadrol for sale of pharmaceutical grade is much higher. On the other hand, buyers can save money (at the expense of varying quality product) through buying UGL grade product. These are manufactured illicitly by illegally established laboratories that manufacture anabolic steroids specifically for resale on the black market to bodybuilders, athletes, and gym enthusiasts. These products are of varying quality, sterility, and potency depending on the laboratory manufacturing them, as there is no government or organizational oversight, and thus no quality controls in place aside from word of mouth and reviews of these products. Internet sources that do set minimum order limits. Pharmaceutical grade products, such as Anabolic Pharma, are more expensive products manufactured by an official pharmaceutical company and designed for human use. Underground labs (UGLs) are labs illicitly set up to manufacture anabolic steroids, and although they are of questionable quality, they are often priced much lower than pharmaceutical grade products. Gym-floor sources and internet sources that do NOT set minimum order limits are almost always similarly priced. Individuals can buy Anadrol at pharmaceutical grade priced at approximately $1.50 per 50mg tablet (price varies dependent on brand). 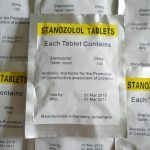 Internet sources that do not set minimum order limits will typically have Anadrol (the same pharmaceutical grade product as listed earlier) priced at $2.50 per 50mg tablet. 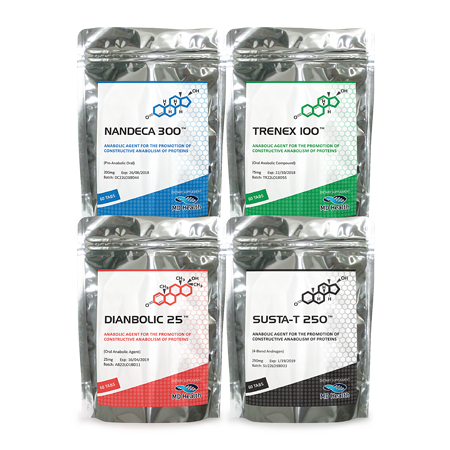 Underground lab product prices can vary greatly, where one can come across in-person and minimum order limit internet sources selling them in the range of $0.75 – 1.00 per 50mg tablet. Sources that allow small orders with no minimum order limits have been known to sell underground lab products in the range of around $1.75 – $2.22 per 50mg tablet. It should finally be noted, that UGL products are often under dosed, miss-labelled and can contain impurities when compared to pharmaceutical grade anabolics.